Fontana is one of the cities located in San Bernardino County, CA. It is a city that boasts of impressive livability figures in terms of crime rates and the index of living expenses. This humble city offers residents with a serene and quiet go at life; this is quite an impressive feat for a city in California. Despite the city’s obvious disposition to quietude, it doesn’t fail to offer thrills when it comes to business and work opportunities. As a matter of fact, the past decade has ushered in an impressive boom in real estate and the commencement of several other businesses. Fontana as we know it has witnessed an upsurge in the establishment of firms, business and the population of people in the area. This development is the reason why there are lots of options open to residents in the area, especially for those seeking legal help for any matter that they have. In order to ensure that you get the best service possible, then it is important that you reach out to a competent attorney or team of attorneys for your case. Rawa Law Group is one of the revered names here in Fontana, with the record, the experience and the capacity to serve you best. We assure you that your case will be handled uniquely and professionally. In order to help you make a decision, we will be making our case of why we are the best options you have for your case. From the multitude of legal firms available, it is okay for you to wonder why we stand out and what really is special about our services. Outside of the fact that we have a team of incredibly experienced and respected attorneys to handle your case, here are a few reasons why you might what to consider us at Rawa Law Group. We have been around for over two decades, and in that period we have dealt with first hand all manners of cases, we have done so with utmost success. Rawa Law Group stands as one of the most successful legal firms in California who has been in service for over 20 years. 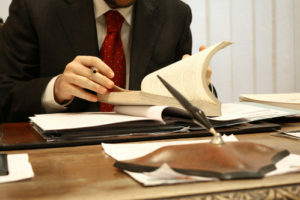 Our Fontana attorneys are top of the line and highly qualified to take on your case. Our years of active involvement in the legal scenes have afforded us with the reputation and authority to deserve representing you! We offer all our services on a personal and intimate level. This way, we leave no stone unturned and no viable option exploited for the good of your case. We offer a committed and relentless advocacy that is crafted to work tirelessly for your good. We are thorough and careful every case, treating them specially and uniquely, and not merely as another ‘worksheet’. Our appointments and consultation sessions with our clients are set according to their convenience. We are willing to meet you up wherever you are, be it the hospital, your home or office in order to get started with your case. Our approach to cases, aside from being thorough, is absolutely ethical. We are committed to going above and beyond for you in a way that doesn’t jeopardize your case, but rather amplifies your chances of success. Enjoy the degree of skill and legal finesse that can only be offered by attorneys who have had as much experience as we have had. Our attorneys have a combined experience level that goes past 50 years. Rawa Law Group has for long being the monolith of legal excellence in Fontana and its surrounds. We are a team of legal luminaries who have paid their dues in devotion and experience and are currently celebrated as one of the finest firms in the area. In our practice, we have recovered for claimants in the area, a compensation that is estimated to be over hundreds of millions, and as such, contribute tangibly to the improvement of the life and living conditions of our clients. We are a firm that seeks to leave you better than you were when you came, and with the application of our trusted systems of legal approach, we are sure that we will get you to where you desire to be in no time in the most professional way possible. It is our duty to ensure that our attorneys are well informed and educated on what is expected of them by law. We also go out of our way to ensure that the question(s) any of our clients may have is duly and professionally answered. The perceptions a client may have concerning a case can go a long way in limiting them from doing what they are expected to do; this is why we always seek to ensure that our clients are in the clear with the right knowledge. At Rawa Law Group, our consultation is offered from our topnotch attorneys, and they do so completely free of all charge. What this means is that you are not expected to make any payment when it comes to this, we will answer all your questions, objectively evaluate your case and gauge the odds you have in court professionally. In doing these, you will be empowered with the right knowledge and be more fired up for your case, without ever having to worry about having to pay anything for our services. We represent our clients on a contingency basis. It is one in which we don’t get to be paid unless we win you your case and the compensation that you deserve. You, therefore, have ZERO WORRIES when it comes to financial concerns for your case! Our joy and pride would be to see you win, get better and receive some sort of financial compensation for the injustice or wrong you have been done. If you are ready to take up matters legally, then allow us to avail you of our legal prowess today. You are implored to visit us at our office or call our TOLL FREE number 1-844-444-1400 in order to schedule a consultation session today.